Today’s message from Pope Francis comes after a morning I have spent bringing our Lord in the Eucharist to a Nursing Facility. As I heard our Holy Fathers message, I was reminded of another video I posted this morning on my Facebook page. One where I did not see a Rhythmic Gymnast, but rather how word, deed and our Lord’s grace come together to fulfill the needs of the weakest among us. We should be “flexible” not “ridged” to His voice, and His grace, willing to say yes to Him, without thinking of self first, at a moments notice. Allowing Him to do the work, though us in exile. Just as we do the work in exile, through Him. Praise, glory and honor to our Lord. Last night, I attended Exposition of our Lord in the Blessed Sacrament, for the soul purpose of what took place in my life today. Handing myself fully over to Him. I entered the Chapel of St. John of the Cross, and came face to face with our Lord. I thanked him for all He had done for me and to me through my conversion of heart. I poured myself out to Him and simply asked Him if He would allow me to enter under the Mantle of Our Lady of Mount Carmel. As I finished praying, I felt this tickle under my nose and sneezed. All I could hear in my heart was “God bless you”. To someone who doesn’t understand His presence completely taking over my life, it’s a meaningless thing that occurred. To me, this so simple action would have been nothing more than a sneeze after prayers, if it hadn’t been told to me a long time before. 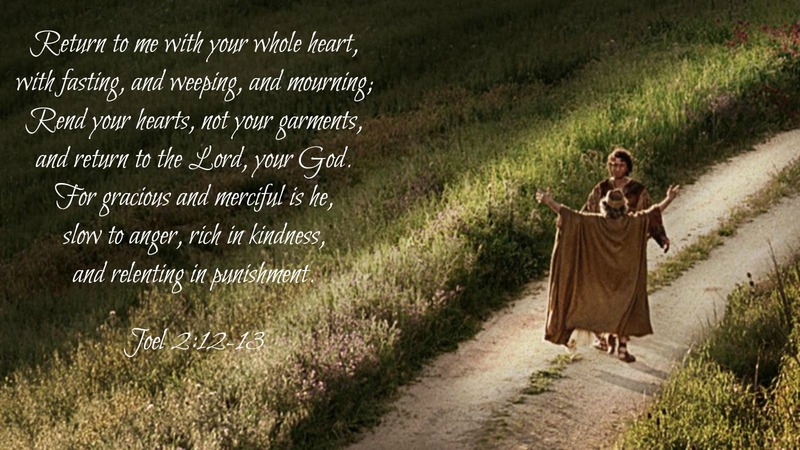 I knew in my heart, our Lord truly called me with the words, “God bless you”. Looking back through my enter conversion, not able to comprehend our Lord calling to me in so many ways and thinking I was in “Trouble”, struggling with what so many call “Scrupulosity” as it was, for most of this, I instantly knew how to “Trust Him”. The evil one would never use a soul to repent of ones evilness, nor call them to come and sit in front of the Blessed Sacrament to be near our Lord and empty ones self of all “self”, receive the sacraments, attend daily Mass let alone, enter the Third Order of Our Lady of Mount Carmel. I’m not trying to blow my own horn here, the glory is our Lords. The honor is our Lords. Everything belongs to Him. “Ad maiorem Dei gloriam”. To the greater glory of God. Today, this morning, I was received under Our Lady’s Mantle. The mantle of Our Lady of Mount Carmel. Many years ago,going back to the point of least “distraction”, as I attended confession for a sin that caused me great pains for many years, my penance was to sit in front of our Lord in the Blessed Sacrament. As I did, I was reduced into a blubbering pool of tears at how I refused to listen to Him in my youth. How I refused to confess that one sin for fear. As I looked up between sobbing, I seen the face of our Lord in the Eucharist. There was no doubt it was Him with His Crown of Thorns very visible to me. There were many others in the room with me and they did not see, was I was “Seeing”. I then seen myself as a child of about 3. I don’t profess to know what this means other than our Lord loves me too. When our Lord “opens eyes” for the first time, there is utter horror at the fact we have been so sinful and rotting in our sins. But the greater horror is that we have hurt our Lord so painfully. You NEVER seek to hurt Him again. Our “environment of sinfulness” becomes a place we never wish or hope to be. To see ones self in this way causes the soul to pull closer and closer to Him, and away from that world we once lived in, along with a deep repentance of all our sins. Not just the big ones. All sins. You begin to say NO to yourself, and yes to all our Lord commands and all He has said and done. The “appetite” for pleasures changes from flesh, to “Spirit” as the soul realizes the reality that all “pleasure” comes from our Lord. One doesn’t seek vanity, or fortune or fame. As all those things that man can give, and do, never replace or replenish the soul for this desire for all things holy. All things change! God never does. He remains as He is. He becomes the “Object of all Desire”. You turn from self, and turn to Him as His grace replaces self. The key is to act upon it. It’s easy to see why so many refuse to believe in Him. It’s quite simple. Because they don’t want to. There isn’t a PLACE in His “Kingdom” that any soul can escape Him and His mercy He is offering to all souls. All it takes is denying self, and accepting Him. ALL of Him. Mama Mary is the shinning example of His Grace. The first question: “How can this be, since I have no relations with a man?” In thinking of this passage in scripture and pondering it, how can anyone of us believe in Him, if we refuse to have a “Relationship” with Him. Unless we say yes, the only relation will be with self. The world shook around her, and His “Kingdom Within” that was brought forth to the world, was the first peek into the “Kingdom” she was told of, through His Grace, by saying yes and acting on it! She remained in “His Kingdom Within” with not only constantly saying yes Lord, but acting on it, even to the day she told Him, “They have no wine”. Accepting the sorrows as knowing, this to shall pass no matter how great the sorrow may be, she did not remain in the sorrow, nor allow it to take hold of her, as He remained with Her in Spirit, guiding her through it. Therefore she was there to strengthen and guide the Apostles, when that same Spirit came to them, to guide them through and not cling to it but to the Spirit and become one. I have learned that the greatest use for His grace, is humility. Placing ones self last as Mama Mary does. She does not seek to be known, rather she seeks to glorify God. She does not seek self. She seeks simply to do the will of God because she loves Him. “Do not be afraid” were the words first offered to our Holy Mother as are the words today, to each soul from our Lord who turn to Him. 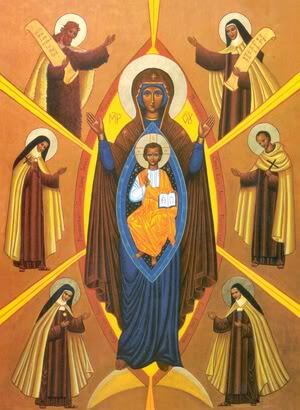 Thank you Mama, Our Lady of Mount Carmel, for saying yes. When you truly love God and his will, then doing what you will, will be doing what God wills. Love for Him must outweigh all other loves. Your love for Him, must be the “Cornerstone” of your entire life. Be willing then, to allow Him, to love you back. When Mama Mary said yes to God, her will became Gods will. 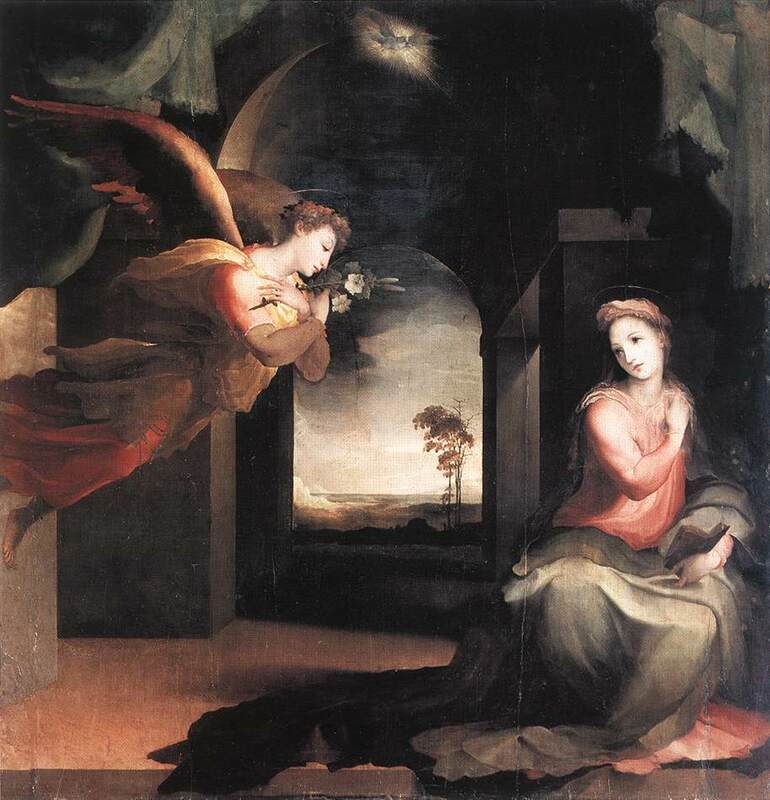 To think for a second, that she could forget what the Angle Gabriel had told her, “And behold, you will conceive in your womb and bear a son, and you shall call his name Jesus.” is like her forgetting she was a woman. Her trust in and love for God was so great, that this event became her life. At the very second she said yes, her will then became God’s will. She held everything from that moment on, in her heart, and even the closeness and unconditional love she had for her Son, our Lord, could not match the love she had for God the Father. Every moment after the Annunciation, in her life, became retrospect back to the moment of saying yes to God.